Tickets go on sale July 1 at noon. Note to all zoo guests: The zoo will be closed on Friday, August 2 so we can prepare for the Zoofari event. The zoo will re-open at 9 AM on Saturday, August 3. 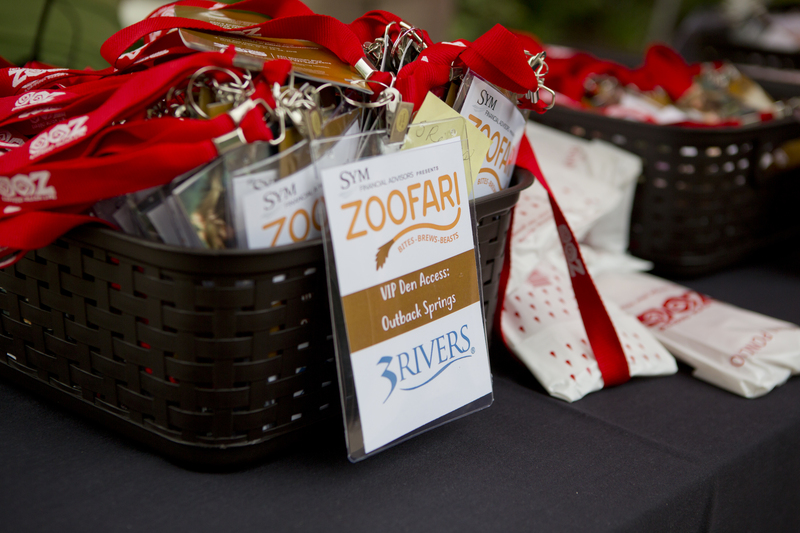 Zoofari offers guests 21 and older the chance to sample delicious food, beer, and wine from over 50 local and regional establishments as they stroll through the zoo listening to music from local bands and enjoying the animals. Proceeds from this event support zoo operations, conservation, education, and animal care programs. VIP tickets are $150, and offer fewer lines with an early admission of 5 PM. Regular admission tickets are $75 for admission at 6 PM. Ticket purchase includes all food and beverage samples. For more information, please contact development@kidszoo.org or 260-427-6831. For sponsorship information, contact Erin Ward at (260) 427-6844 or erin.ward@kidszoo.org. Must be 21 to attend. Proof of age is required at the gate. No exceptions.